Every year, the TSA provides a number of holiday tips for travelers, and this year there are a number of recent changes that will be of particular interest to families traveling with either young children or older relatives. Children who are 12 or younger, and adults who are 75 or older are no longer required to routinely remove their shoes. However, shoe removal may be required if a passenger is selected for additional screening. The TSA has made unspecified modifications to screening procedures for children who are 12 or younger, and adults who are 75 or older. These changes will reduce, but not eliminate, the pat-downs that happen after a passenger causes an alarm with the metal detectors or full-body scanners used by the TSA. For quite some time, all snow globes were banned from the passenger cabin and from carry-on baggage. The TSA has relaxed those rules, allowing snow globes containing less than 3.4 ounces (100 ml) of liquid in your carry-on bags. Snow globes typically don't come with volume indicators, and the TSA suggests that globes up to about the size of a tennis ball will be acceptable. Travelers with questions about screening policies can call TSA Cares at 1-855-787-2227 to have their questions answered about what to expect at the security checkpoint. 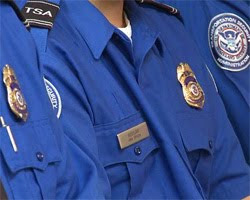 If you or someone who is traveling with you has a disability or medical condition that may cause a problem during screening, a TSA Cares a representative will answer your questions and can also provide assistance that is relevant to the passenger’s specific disability or medical condition. Some TSA regulations have not changed. The TSA has to be able to inspect any gift or package, whether in checked or carry-on bags, so if you have any gifts in your luggage, you should either wrap them after your arrival, or wrap them in such a way that they can be easily opened and inspected. AirSafe.com has published a number of guides filled with air travel advice, including a guide on baggage and security, and another on how to make complaints. If you subscribe to the AirSafe.com mailing list at subscribe.airsafe.com, you can download free PDF versions of these books, as well as buy ebook versions of the guides. If you sign up today, you will be notified when the newest guide for traveling with families comes out later this month.